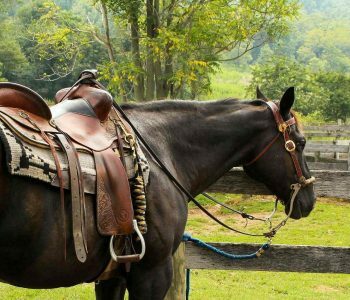 Is Your Horse Happy in His Job? 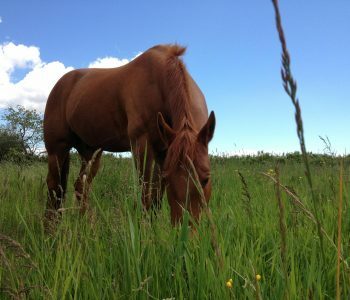 A common cause of abnormal horse behavioral disorders is poor living conditions. But interesting results were yielded by a study to determine whether specific behaviors relate directly to the horse’s type of work. Being studied were 76 French Saddlebred geldings at the Ecole Nationale d’Equitation in Saumur, varying in age from 5 to 16. 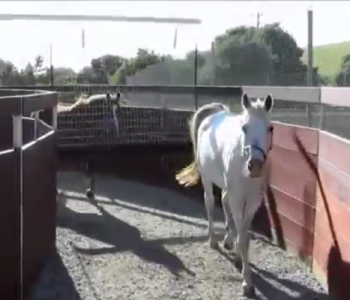 Their living conditions were identical: no turnout or equine socialization, and one hour of work daily. The animals performed one of six different types of work and two main categories of behavior emerged, which clearly resulted from their jobs. The vaulting (voltige) horses were classed separately. These horses had a higher tendency to exhibit 2 or more behavioral disorders, called stereotypies. 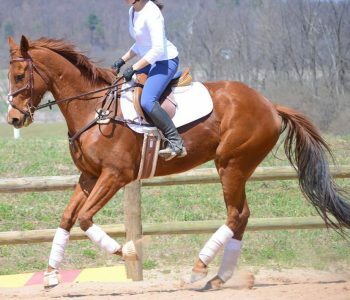 Over 88% of the dressage horses and 81% of the high school horses developed stereotypies, and were the only horses to crib and/or windsuck. Two horses in this group were seen weaving, but many more were head tossing or nodding than in Category 2 (below). 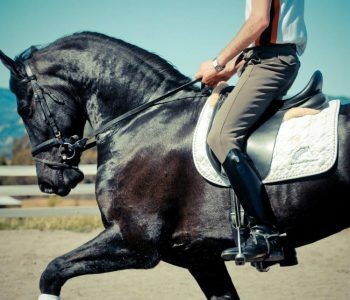 Of all the disciplines, the dressage horses exhibited their abnormal behaviors for the longest periods of time. Most common stereotypy in this group was repetitive licking and/or biting in the stalls of such structures as the walls, grids and feeders. 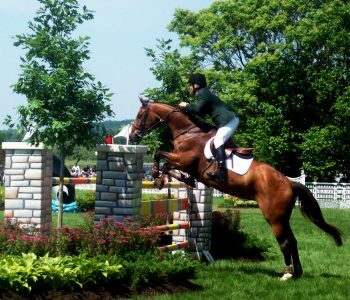 This was observed in 90% of the eventers, 87% of the jumpers and 71% of the advanced riding school horses. These horses ‘clearly showed more minor stereotypies than the other categories.’ Tongue play was exhibited by 4 horses in the small group of 7. 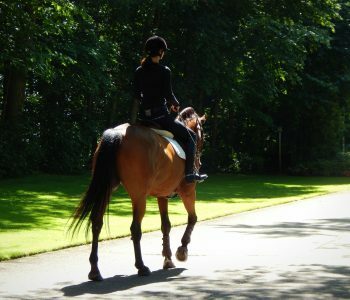 The study concludes that ‘work may be a source of chronic abnormal behavior’ in horses. It is naturally exacerbated by restrictive living conditions. However, this research shows that the stressors of individual disciplines have a powerful impact on the kind of stereotypy horses are likely to develop. 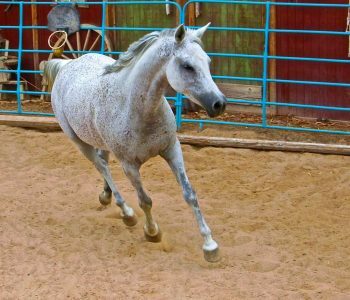 Varying the work schedule, and allowing them to ‘be horses’ by giving them adequate turnout with equine companions, will reduce the likelihood of unhappy, abnormal behavior. Materials & Methods: 1) Animals and observation procedures. Materials & Methods: 2) Terminology and behaviour observed. 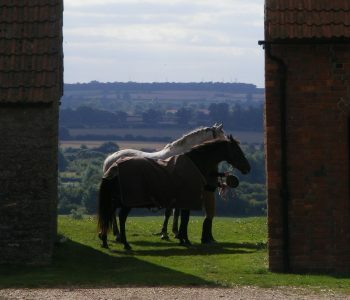 “Weaving: obvious lateral swaying, movement of head, neck, forequarters and sometimes hindquarters. 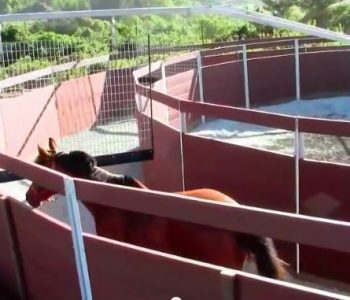 “Cribbing and windsucking: when cribbing, the horse grasps a fixed object with its incisors, pulls backwards and draws air into its oesophagus. Windsucking is similar but no object is grasped. “Head shaking and nodding: repetitive bobbing of head up and down or recurrent and sudden bouts of head tossing. “Tongue play: the horse sticks out its tongue and twists it in the air. “In addition to the “more classical” stereotypes we recorded repetitive licking/biting (walls, grids, feeder…) movements as additional abnormal repetitive behaviors.